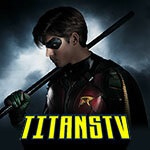 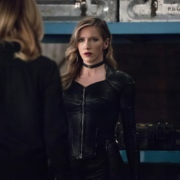 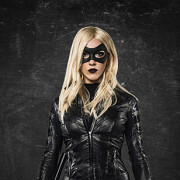 Juliana Harkavy of The CW’s Arrow talks about Dinah Drake’s evolution including accepting Laurel Lance into the team. 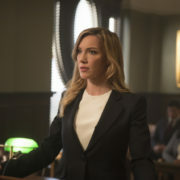 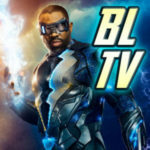 Arrow Executive Producer Beth Schwartz talks about Laurel Lance’s redemption and Dinah Drake’s new role in Arrow Season 7. 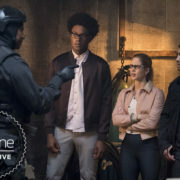 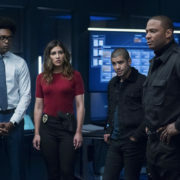 John Diggle and former members of Team Arrow are in a new still & spoilers for Black Siren & Roy Harper are also addressed. 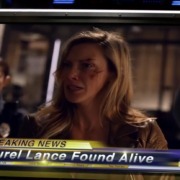 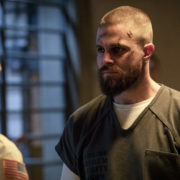 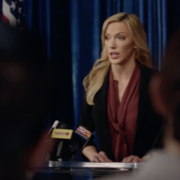 Preview clip for the Arrow episode “Doppelganger” in which Katie Cassidy’s Laurel Lance shows up alive.